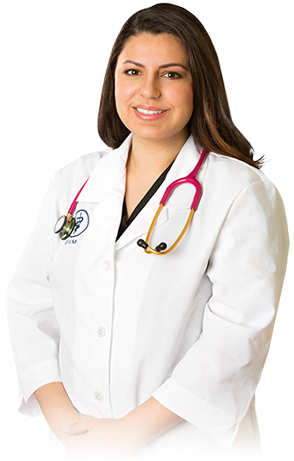 Dr. Dianna is a 2010 graduate from Purdue University’s College of Veterinary Medicine. Her veterinary interests include emergency medicine, soft tissue surgery, rabies prevention and behavioral medicine. Dr. Dianna enjoys getting to know her clients and enhancing the human-animal bond. She knew from a young age that she wanted to become a veterinarian and she loves her career! When not working, you can find Dr. Dianna spending time with her husband and two children, watching Disney movies and going to museums or the zoo. They share their home with a mini English Bull Terrier, named Ruffio, and several fish.